Tip: Holding On. Ninety-three percent of those who own annuities still own the first annuity they purchased. Source: The Gallup Organization, 2013; (most recent figures available). Diane divides $300,000 between two annuities: a deferred annuity with a 10-year term and a hypothetical 5% return and an immediate annuity with a 10–year term and a hypothetical 3% return. 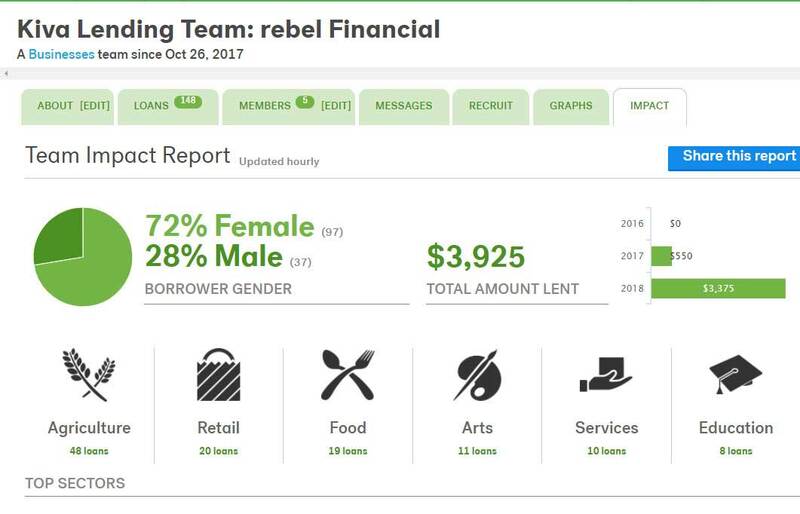 She places $182,148 in the deferred annuity and the remaining $117,852 in the immediate annuity. 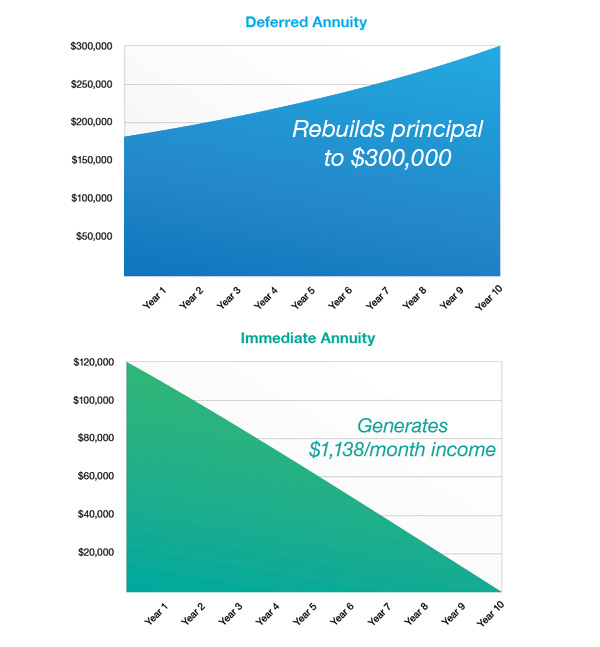 Over the next 10 years, the immediate annuity is expected to generate $1,138 per month in income. During the same period, the deferred annuity is projected to grow to $300,000 — effectively replacing her principal. Fast Fact: Moving into Annuities. During 2013, individuals placed over $230 billion in annuity contracts. Annuities have contract limitations, fees, and charges, including account and administrative fees, underlying investment management fees, mortality and expense fees, and charges for optional benefits. Most annuities have surrender fees that are usually highest if you take out the money in the initial years of the annuity contact. Withdrawals and income payments are taxed as ordinary income. If a withdrawal is made prior to age 59½, a 10% federal income tax penalty may apply (unless an exception applies). Annuities are not guaranteed by the FDIC or any other government agency. With variable annuities, the investment return and principal value of the investment option are not guaranteed. Variable annuity subaccounts will fluctuate with the market. Keep in mind that the return and principal will fluctuate as market conditions change. The principal may be worth more or less than its original cost when the annuity is surrendered.